Looking to make a splash with his research videos into the existence of Bigfoot, Jim (Bryce Johnson, "Pretty Little Liars") and his skeptical girlfriend Kelly (Alexie Gilmore, Labor Day, God Bless America) take a camping trip to the mountains surrounding Willow Creek, California, a small town where famous footage of the legendary Sasquatch was filmed decades earlier. Jim believes Bigfoot exists and is intent on finding the very spot where the huge, hairy, man-like creature supposedly strode. But before long, Jim and Kelly are lost in the woods and discover that someone - or something - is stalking them. With each passing night bringing unknowable danger, the two must use all of their cunning to try to make it out of the forest alive. 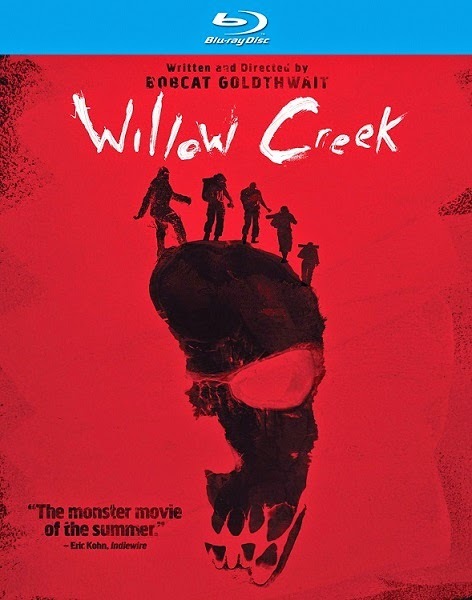 A young couple find themselves face to face with a terrifying evil when they venture into the heart of Bigfoot country in WILLOW CREEK, director Bobcat Goldthwait's unique spin on the horror genre. It creeps onto Blu-ray and DVD from Dark Sky Films and MPI Media Group onSeptember 9, 2014, with SRPs, respectively, of $29.98 and $24.98. Special features on the BD and DVD include: Commentary with Writer/Director Bobcat Goldthwait and Stars Alexie Gilmore and Bryce Johnson, Deleted Scenes, Bryce Johnson's "The Making of Willow Creek" and more. Writer-director Bobcat Goldthwait takes a radical departure from his recent string of black comedies (God Bless America, World's Greatest Dad) to create a film that shows there are still surprises and shocks to be had in the found-footage genre pioneered by The Blair Witch Project. In her review in The New York Times, Jeannette Catsoulis pointed out Goldthwait "engineers a static, almost wordless 19-minute shot inside a tent that generates more tension than many horror directors achieve with a swarm of Foley artists and a healthier budget. This canny exploitation of the power of silence is unnerving." Tom Huddleston of Time Out London called the film "a whole lot of jarring, juddering fun." Brian Orndorf of Blu-ray.com said, "It's smaller in scope and horror ambition, which automatically makes it more enjoyable than most of its brethren, creating a mix of local color and camping disaster that's basic but frightfully effective." 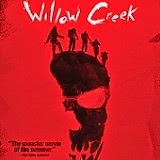 "WILLOW CREEK does everything a little bit better than others of its kind," praised Scott Tobias of TheDissolve.com.